Sean Doolittle won the 2017 Tampa Bay Frogman Swim, a charity swim in Florida for the Navy SEAL Foundation, in 1 hour 3 minutes. "The current was a little strong," said 14-year-old from St. Petersburg. "But I kept my focus on the Gold Star families who we came out to support." Sean was not the only Doolittle at the event. His father and English Channel veteran John Doolittle, also swam to honor Nick Spehar, a fallen Navy SEAL. The two swimming Doolittle's were supported on dryland by mother Katie, younger son Ryan and youngest daughter Meg who were all serving as volunteers. 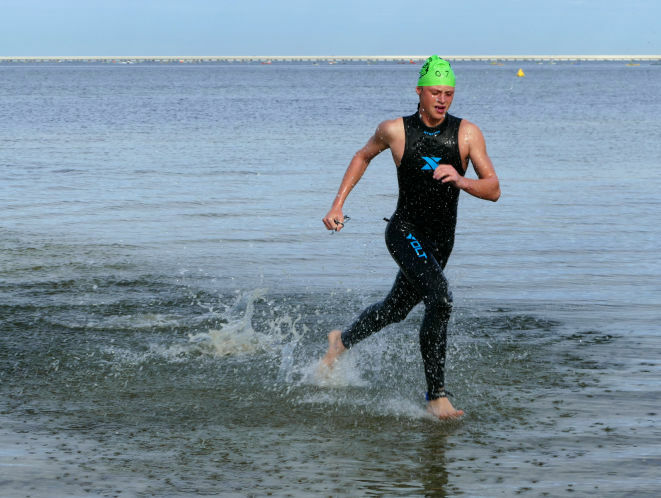 The Tampa Bay Frogman Swim is now expanding to northern California and bases throughout the Pacific via virtual swims by swimmers who also want to take part, but cannot be physically present in Tampa Bay on race day. For more information on one of the highest generating charity swims in the world that will next be held on January 21st 2018, visit here.